AD Architects won a design competition in 2013 to provide The Radcliffe School with a range of new facilities. 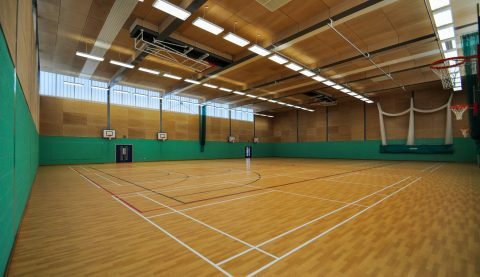 We developed a design for a new six-badminton-court sports centre, built alongside a series of new artificial pitches, to enhance the school’s Specialist Sports College status. This part of the scheme was completed in 2016. The design for the new Entrance Building includes a sixth form centre, media library, administration block and main entrance. The project also includes landscape and external works improvements, and a redesign of the pedestrian and vehicular access into the campus.